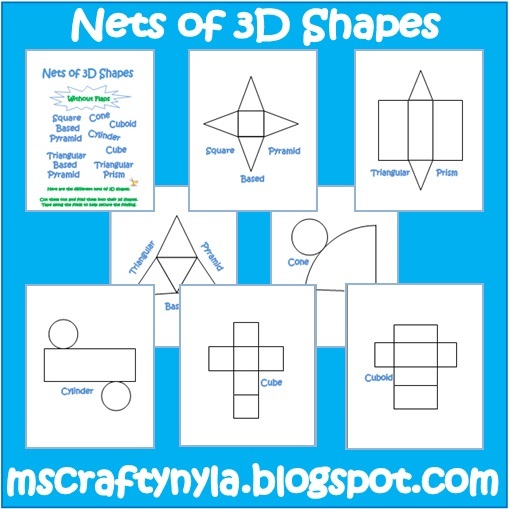 Nyla's Crafty Teaching: Free 3D Shape Nets! 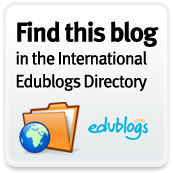 Are you teaching about 3D shapes this term? 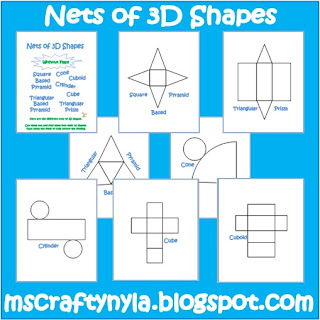 Use these free printable nets of the cube, cuboid/rectangular prism, cone, cylinder, square based pyramid, triangular based pyramid and triangular prism. Just cut out and fold! 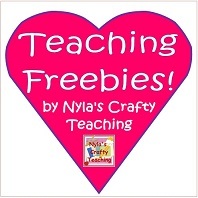 You can print them out on differently colored sheets of cards stock paper, cut, fold and tape them up to easily create your own collection that is ready to distribute to your students for free play - like the sets I made here in the pictures here! 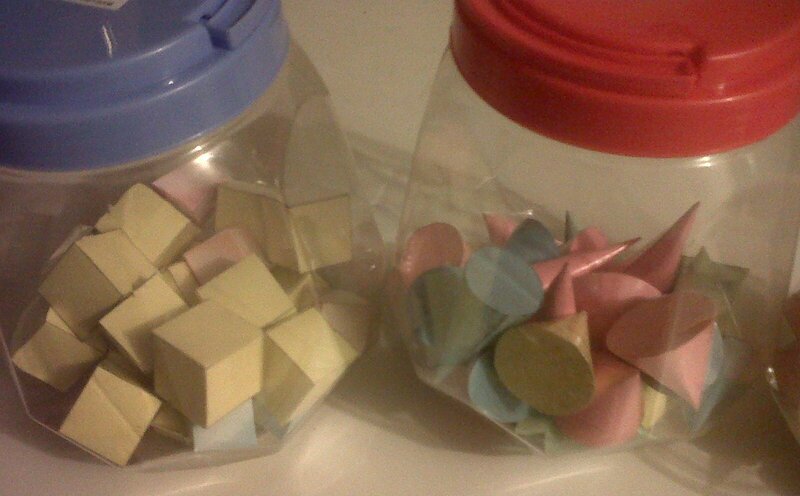 What Every Crafty Teacher Needs! 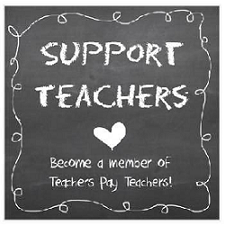 It's About Time... for Teachers!